To Meal Plan or Not to Meal Plan, that truly is a great question. Does it help some people to save money and eat right? YES!!! Does it help everyone? NO! 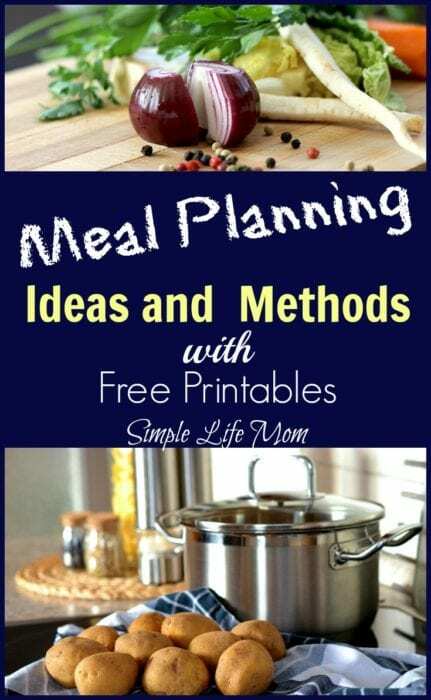 But we’ll discuss meal planning ideas and methods below, as well as get you started with some free printables. Should You be a Meal Planner? Do you often not get meat out of the freezer until 3pm the day you’re planning on using it, because you just thought of what to make? Does making daily meals stress you out? Do you feel like making a daily meal is a big chore? Do you feel like you’re stuck in a rut with meals? Do you eat out often because you don’t feel like cooking or just can’t think of anything to cook? I’m going to keep it real with you. I am not a huge traditional meal planner. I plan…and then completely ignore it after 3 days. It’s how I roll. Does that mean we eat out? No. I said I’m not a traditional meal planner. I have my methods (see below). 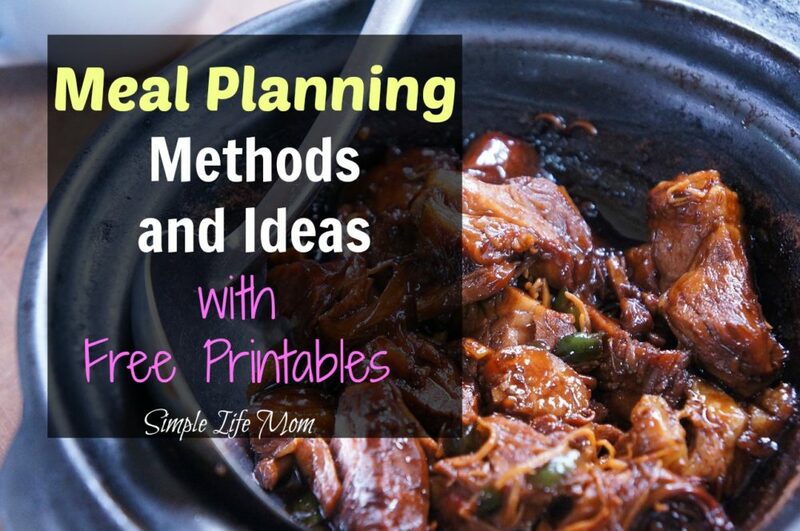 Often, meal planning to some degree will save money, save time, and reduce stress. Use your resources. If you are feeding others besides yourself, then interview them. Mine give me the wonderful, “I don’t know”, so I narrow it down and ask them to give me their favorite Breakfast, Lunch, and Dinner. Give them ideas to get their brains moving. Categorize these meals by breakfast, lunch, dinner, and snacks. A weekly method involves sitting down once a week to plan all meals for the upcoming week. A good way to do this is to designate a time and write it on the calendar until it becomes a habit. A bi-weekly method involves making a plan for two weeks at a time. This is my favorite, because of its versatility (and because I know I won’t plan once a week). Plan a new set of meals every two weeks. Plan for 2 weeks and repeat. I make a two week plan for spring, summer, Fall, and winter to keep with seasonal veggies and whether we’ll be grilling, etc. Honestly, you’re only eating the same meal twice a month so they don’t get old before you change seasons. A monthly method involves sitting down a making a plan for the month. They can be all different, or you can repeat meals, whatever you choose. A lot of people who make monthly plan will also buy what they need and prepare a lot of items ahead of time ( cut veggies that will be frozen, dice chicken and add spices, etc.). Whether you choose a weekly, bi-weekly, or monthly method, you can easily make a list of everything you will need for that time period. Make a shopping trip and buy what you need so it’s at least in the house. Honestly, this step is optional. If you have made the plan and have the supplies in the house then you’ve won a HUGE battle! Congratulations! If you know you’ll be super busy during the week, then after your planning and purchasing, prepare as much as you can. Sharpen those nice and dice the chicken ahead of time. If making a stew, chop the veggies and meat and put them in a freezer bag ahead of time. Anything that you can do that will make cooking during the week a breeze. Enlist kids! This is where they learn. Have them help prepare and then cook during the week. They will take these lessons with them into their own home. You’ll be doing them a great service! That’s it. Traditional Meal Planning at its best. So what is non-traditional planning? Well, another option is to plan out your meal and have the ingredients delivered to your door in a Sun Basket meal kit. This cuts out the need to run around looking for ingredients. If this is something you’d be interested in then click here to read a Sun Basket review to see if it’s for you. There is another none traditional option too and it deserves mention because it’s what works for a lot of families. It’s basically completing Steps 1 and 3 above. You will still complete #1 as stated above. Interview your family. Make a list of what you enjoy making. Make a list of what’s fast and convenient. Categorize it according to Breakfast, Lunch, Dinner, and snacks. This is less formal then the traditional method. 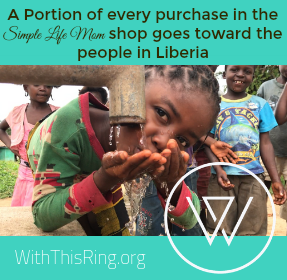 This involves knowing what’s on the Favorite Meal list and having those supplies on hand. Get in the habit of referencing it the night before. Why the night before? To get the meat out of the freezer and into the fridge. I’d love to help you organize your meals better so that you can decrease your stress levels and eat more healthy. Food is medicine after all! Here are a few different types of planners. You can download these, or simply use them to give you ideas for creating your own. I hope they inspire you. Please leave a note below telling us how you plan your meals. We’d love to hear from you. Simplifying your life is a continuous mindset. 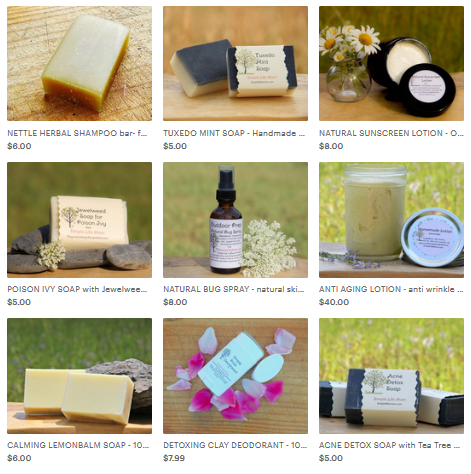 Our goal is to reduce stress, simplify routines, simplify recipes, and get organized. Being the rebel that I am, I always seem to do things differently from the rest of the world. I do my meal planning at the store. When I grocery shop, I buy what happens to be on sale that day. Find out the day of the week your store marks down the meat. In my case it’s Thursday. Meat that is near the best before day is marked 30% off which is a huge savings. I buy it and it goes home and straight into the freezer for same day use whenever I take it out to thaw.Every night I decide what we are having next day and take it out to thaw overnight. So meal planning in advance is useless for me because I’m never sure what I might come home with. If I get a whole chicken 30% off, guess what dinner will be? You got it, roast chicken. So that requires a little thinking in the store to make sure I also buy whatever items I need to make that dish. If the lettuce is a good buy that week, we are having salad. If it’s the broccoli, we are having that. It allows me to buy almost all my groceries at a much reduced price. The only time I do pay full price is when there is a special meal that requires a specific dish. Of course, it’s just my husband and I so it’s a little easier to do this. I don’t imagine it works well when you have young children or picky teenagers. I always love hearing other people’s systems. Great ideas. Thanks for sharing. 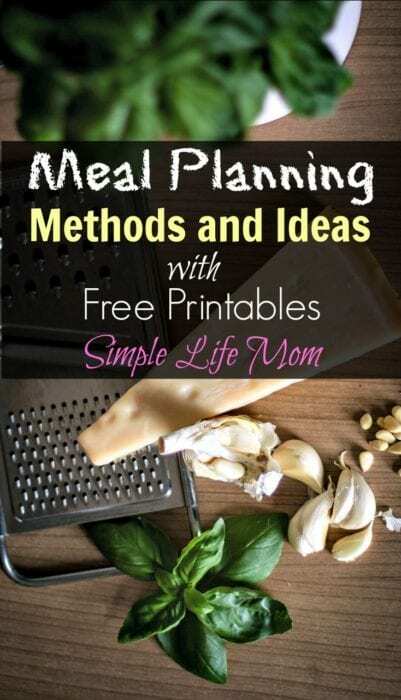 Meal Planning really helps to organize your meals, your shopping and your spending. You mentioned so many great tips here! I tried on 2 different devices and they all came up. Meal planning is a life saver in our house. It’s help ensure that I don’t go out to eat when I’m not in the mood to cook (which is often). You offer great tips! I like to cook once and eat twice. I’ll make extra of something like chicken and use it two different ways to help cook down on cooking. Thanks for mentioning that Nicky. Cooking once for two meals is so wonderful. I’ll often make a double batch of whatever I’m baking or cooking and put the second into the freezer for a fast meal later. I LOVE pulling those out on busy days. Oh my gosh I do the same thing – I plan and plan, then once we get into the week and get all busy busy, the plan goes out the window. It’s terrible because we end up wasting more food that way. I love you tip to make a list of my family’s favorite meals. Being a food blogger and always wanting to make something new when I do cook, I lose sight of this and really should try more to get them their favorites at least once in a while 🙂 Great tips! Planning meals ahead of time was on my to-do list to start next month. How timely. I always feel so accomplished and organized when I plan out our meals. I need to get consistent with that because I end up going to the store every other day, which takes more time and I end up spending more because I see other things I “need”! Such great advice. I love when I am in the rhythm of meal planning – we always have healthy home-made options on hand. I work long hours with a long commute, so I do all the cooking on my days off. I plan the meals and create the shopping list – husband works closer to home and does almost all the shopping. Thanks for sharing the printables – it’s nice to have inspiration for being organized!